"Docchi mo Docchi" is getting a Live-Action!! Her art style is simple, cute, and fresh, and her stories are hilarious. Her stuff needs to be translated more often! 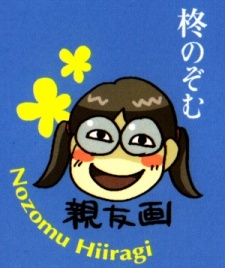 Cute style and hilarous stories, Viva Hiiragi Nozomu o/ !! Ahahahahah..I adore her unparalleled work!! She has interesting art. THE STYLE!STYLE!